When you’re shopping for a car on a budget, explore our selection of used Volkswagen models for sale. You can buy a like-new VW to enjoy a reliable and stylish vehicle without breaking the bank. 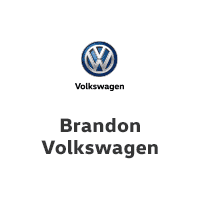 Our Volkswagen dealership near Brandon, FL, has pre-owned Volkswagen sedans and SUVs in stock, as well as used cars from other makes. From used VW Jetta and Golf models to pre-owned Volkswagen Atlas and Tiguan SUVs, we have it all. Visit our Tampa Bay VW dealership to buy a used Volkswagen you love. Peruse our used VW specials before you shop, as we may have a pre-owned Volkswagen incentive waiting for you!